Seven current and past members of Norwood Avenue Elementary School’s service club, the “O Ambassadors,” volunteered at Project HOPE on Oct. 28. Project HOPE is a community ministry founded by the youth of St. Hugh’s Parish to help those in need in the surrounding Huntington area. This free meal center offers food to anyone in need, with no questions asked. 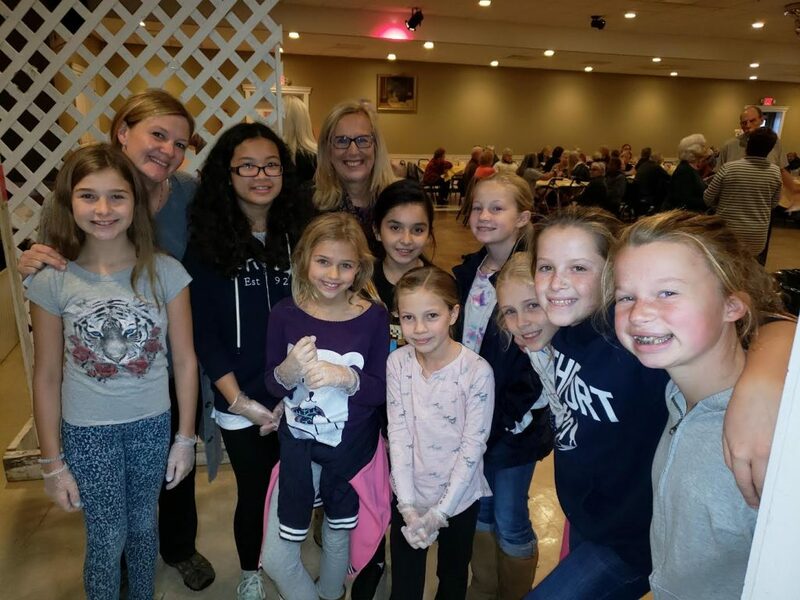 Norwood students Madeline Mandel, Reidyn Vincent, Gabriela Scalia, Northport Middle School students Lily Nye, Ayesha Molano, Mary Breckling, and Anna Mandel, and club supervisors Mrs. Barbier and Mrs. Huebsh freely gave up their Sunday night to help those in need. In addition to setting tables and cleaning up after the meal, students prepared and served food to the 138 guests in attendance, and spent time chatting with them. “We are so very proud of our students for their community service and level of maturity,” said Principal Michael Genovese. Photo Caption: Seven current and past members of Norwood Avenue Elementary School’s service club, the “O Ambassadors”, volunteered at Project HOPE on Oct. 28.